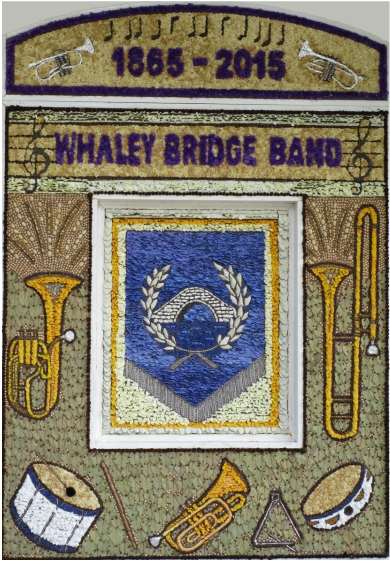 We are Whaley Bridge Band, a traditional town band which has been playing its part in community events since 1865. We enjoy a varied program of concerts and events throughout the year, performing for the Whaley community and in the local area.. We notably lead the parade through Whaley Bridge on Carnival Day, enjoy a summer afternoon on the bandstand in Buxton Pavilion Gardens, take part in the Whit Friday Marches, and head a Christmas Extravaganza at Whaley Bridge Bowling Club. Feel free to come join us for a blow - rehearsals are on Wednesday evenings in Kettleshulme and embrace a musical repertoire ranging from traditional marches, through classical favourites, to tunes from stage & screen and popular hits. We have opportunities for experienced players and also for those returning to banding after a break. One to one tuition is also available and takes place throughout the week for people of all ages. Please see below for our contacts or our 'join the band' page for details about current vacancies and where we rehearse.